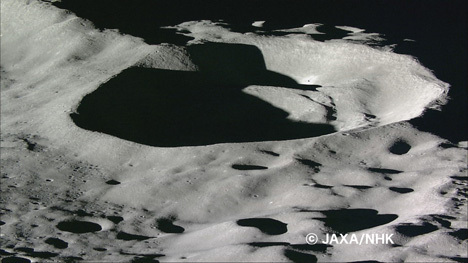 The Japan Aerospace and Exploration Agency (JAXA) has released high-definition video captured by the Kaguya moon probe moments before crashing onto the lunar surface on June 11. 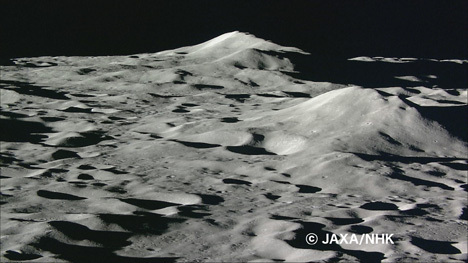 The 3D movie was created based on observation data captured about 12 minutes prior to the controlled crash, as the probe headed toward its final destination near the Gill crater. 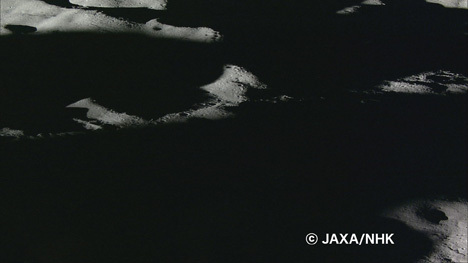 The video goes black at the end as Kaguya moves into the dark area of the moon. They oughta put some headlights on the next one. Correct Esla, Why they did not got this idea? i thought man landed on the moon circa 1969? 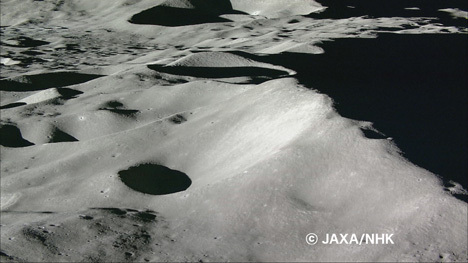 Man "did" land on the moon.This violent experiment was about trying to blast visible water out from a luner crater by crashing two satellites into a crater at the moon's pole.